Super Bowl LI goes down this Sunday between the New England Patriots and Atlanta Falcons in Houston, Texas, and while Americans are expected to wager roughly $4.7 billion on the big game, the vast majority of the bets will be placed illegally. That’s a reality that should come as no surprise to most gamblers who have an interest in sports betting. Gambling on college and professional sports is banned in America through the Professional and Amateur Sports Protection Act (PASPA) passed in 1992. However, the federal statute granted exemptions for Nevada, Delaware, Montana, and Oregon, though today only the Silver State takes advantage of the privilege. 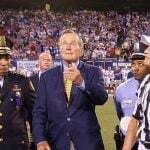 In a press release, the American Gaming Association (AGA), the leading gaming lobbying firm in Washington, DC, estimates that $4.7 billion will be wagered on Sunday evening’s big game. Nevada is expected to collect upwards of $130 million worth of Super Bowl bets before the 6:30 pm ET kickoff on Sunday. 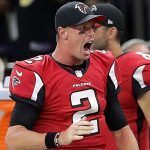 The line at the land-based sportsbooks remains stagnant, with the Patriots being a three-point favorite over the Falcons. The Westgate SuperBook has straight bets at New England -155 and Atlanta +135, and has approximately 400 total prop bets on the game. But the casinos’ take on Super Bowl LI will be just pennies in the overall sports betting bucket. 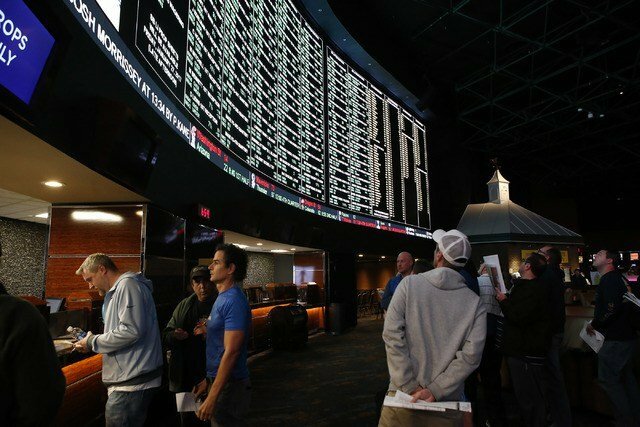 Online sportsbooks cater to consumers in the US, and are more than ready for America’s most-watched television event of the year. Internet sportsbook Bovada has 85 offerings on Super Bowl LI, while Irish bookie Paddy Power has nearly 200 lines. Then there’s the assortment of novelty bets that give even the most casual Super Bowl observer something to get excited about. Online gambling patrons can place bets on halftime performer Lady Gaga’s first song (“Bad Romance” is the favorite at +225), whether a fan will streak across the field (16-1), and even if a power outage will disrupt play as it did in 2013 (40/1). Proponents of sports betting legalization are cautiously optimistic for the 45th commander-in-chief’s reign. Though the controversial leader has certainly done some things to anger his opponents, when it comes to gambling, casino companies are largely hopeful. PASPA has come under fire from New Jersey, a state that wants to legalize sports betting. Five other states, through their attorneys general, recently joined those efforts in asking the US Supreme Court to reconsider the Third Circuit Court of Appeals 2016 ruling that blocked the Garden State from legalizing sports gambling. It’s unclear if President Trump would support a repeal or overhaul of PASPA, or sign a new sports betting bill should one be passed by Congress. 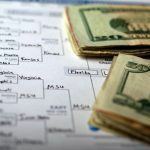 But for this weekend, the overwhelming majority of bets on the country’s biggest sports event of the year will be executed in not-so-legitimate ways.